Lipi Singh is 2016 batch IPS officer of Bihar cadre. 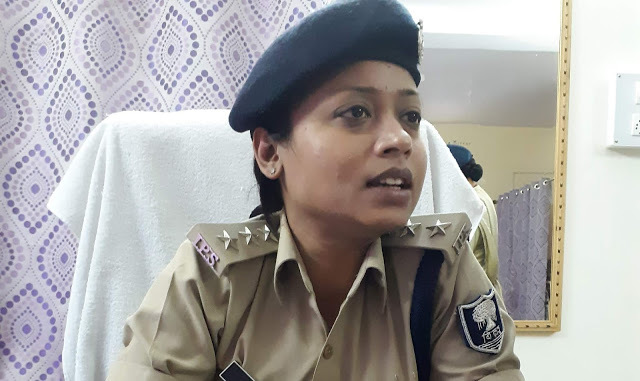 She is currently posted in Patna district as SDPO of Barh. In a short span of time, she has attracted attention for being a tough police officer. Her courageous attitude against mafias of Barh and Mokama regions is being applauded. In fact, Anant Singh has become a foe of Nitish Kumar precisely because of her. Lipi Singh has broken the illegal businesses of Anant Singh in the area.Lipi Singh is the daughter of senior JDU leader and former UP Cadre IAS officer RCP Singh. She might have got favourable area for being the daughter of the right hand man of Nitish Kumar. However, taking a look at her performance, it can be safely say that Lipi Singh is completely apolitical when it comes to dealing with law and order of her area. Educational Qualification: Lipi did schooling from Delhi Public School, R. K. Puram. She has completed degree in Law from Delhi University. In fact, RCP Singh had planned Law profession for both of his daughters. However, Lipi had some other plans to make her father proud. She cracked UPSC Civil Services Examination in her very first attempt in 2014. She got allied services and didn’t join. In her second attempt, she got IPS with All India Rank of 114. Lipi Singh is 2016 batch IPS officer of Bihar cadre.